Charlotte Engineers, LLP is a consulting engineering firm specializing in mechanical, plumbing, fire protection and electrical engineering design services. Energy efficient and environmentally friendly systems are at the forefront of our designs and are supported by our commissioning services. We have been awarded several ASHRAE Chapter Technology Awards for engineering excellence. The main focus of our firm is to provide outstanding service and responsiveness to our clients. Each project is led by one of our partners. We are committed to working closely with each client and the entire project team from project concept through construction administration. This approach sets us apart from other firms. Another unique feature of our work is that we make every effort to involve the end user groups in our design process. These are the people who work in the building and maintain the energy systems. A wealth of information can be gained by listening to their concerns and by exchanging ideas and information. Engineering requires expertise and precision, and clients expect a graceful path to success. At Charlotte Engineers, delivering judicious engineering, striving to meet goals, and protecting budgets are givens. Here’s what sets us apart: the seamless transition from phase to phase of a project, and our ease working with owners, architects and contractors. We welcome tough jobs. 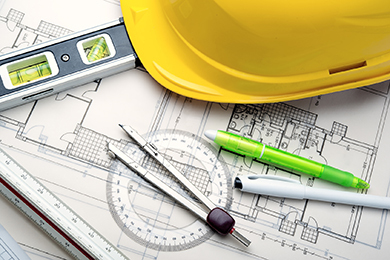 We execute engineering services for new construction and renovations. Because of our knowledge and experience, most of our work has been in hospital renovation and projects requiring special engineering attention. Our simple philosophy is that “we do what we say we will do.” This philosophy along with some of the best engineering practices in the industry has led to our continued growth and success since 1996.